Here are some of the best places to find your coffee and tucker whilst on the island. Oahu is a growing social centre, its rich Polynesian history interweaved with mighty fine surf and now contemporary influences from all corners of the globe. Remoteness isn’t proving a problem for those of us who need post surf calories. A wave of metropolitan culture is mixing with the old to create a modern-day Oahu, so it’s no surprise that new bars, coffee houses and eateries are popping up all over the place. Arvo is an escape from the humid urban hubbub of the city. Stray towards the city and you’ll uncover some urban gems. Amidst the warehouses and corrugated iron of Honolulu’s business district is a coffee haven drenched in island style. 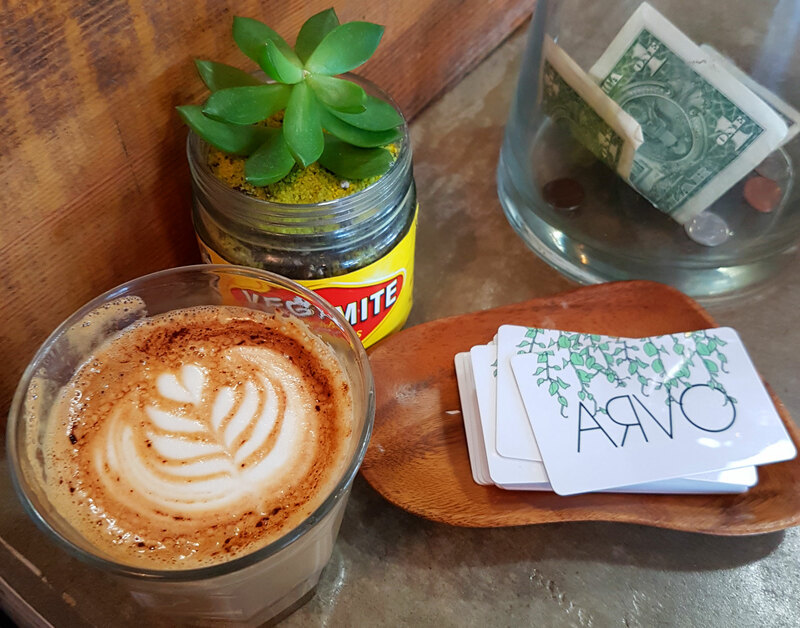 Arvo is the brain and caffeine child of Dixie and Mason Rose, a couple who combined their cultural backgrounds to develop an Aussie/ Hawaiian coffee house with Dixie’s sister, Casey. Opt for a loaded bruschetta-style toast with vegemite or avocado and smoked salmon, with a long black or flat white. It’s a tranquil escape from the humid urban hubbub of central Honolulu, located on the fringes of the Kaka’ako neighbourhood and bordering the city’s up and coming Downtown district. On the western fringe of Haleiwa is The Beet Box Café, a new harbour for lovers of healthy and wholesome food on the North Shore. Everything a 21st century foodie loves is included in a refreshingly eclectic menu with South American, European and Asian influences. Gluten free, dairy free, vegan, sugar free and organic options are readily available whilst a homely selection of sweet bakes and raw snacks sit temptingly in the fridge for that well deserved afters. 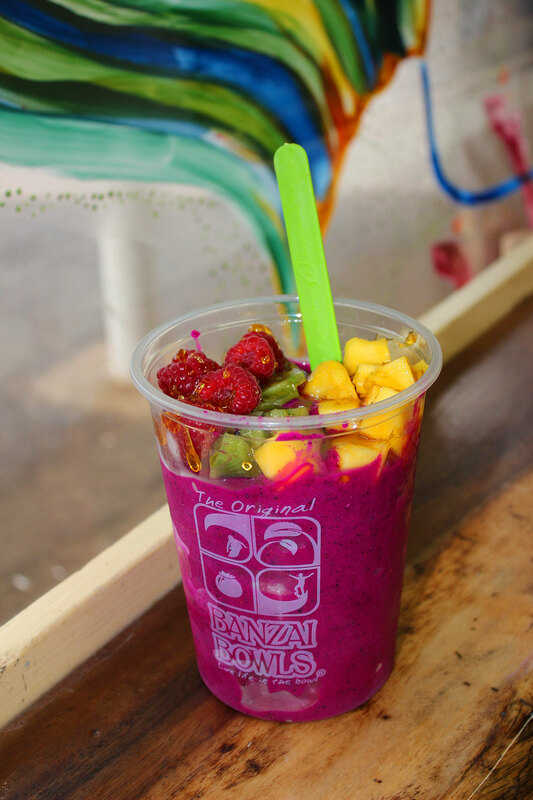 Five minutes cycle from Banzai Pipeline is Banzai Bowls, creators of the North Shore’s original Acai bowl. Its Hawaii’s take on a rich frozen smoothie, made from pure acai powder that is blended with locally sourced raw honey, banana and a menu of super food options. Maca powder, bee pollen, chia seeds and almond butter are just some ingredients that form the bases of each bowl, a coolly refreshing snack full of antioxidants and energy. With optional gluten-free granola and fruit on top, the bowls are to be consumed greedily with a spoon. Dignity not required. Brew and Foam – Get involved with a Dawn Patrol here. The aroma of fresh espresso, warmth of wooden decor and minimalist steel furnishings create an ambiance of urban coffee comfort at Brew And Foam. 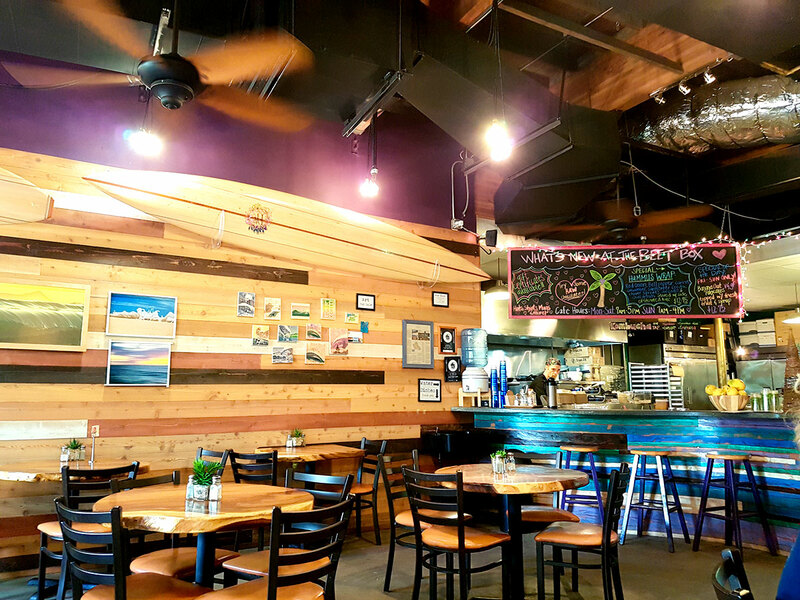 Having opened in 2016, B&F set out to offer customers a richly varied tasting experience and has become a happy pit stop for local residents and visitors to Waialua. Their menu varies from the traditional Kona blend cappuccino to richly spiced espressos served with cacao and cayenne. You’ll also find their Dawn Patrol hit coffee. Food Truck City covers all bases with pretty much every type of cuisine available. 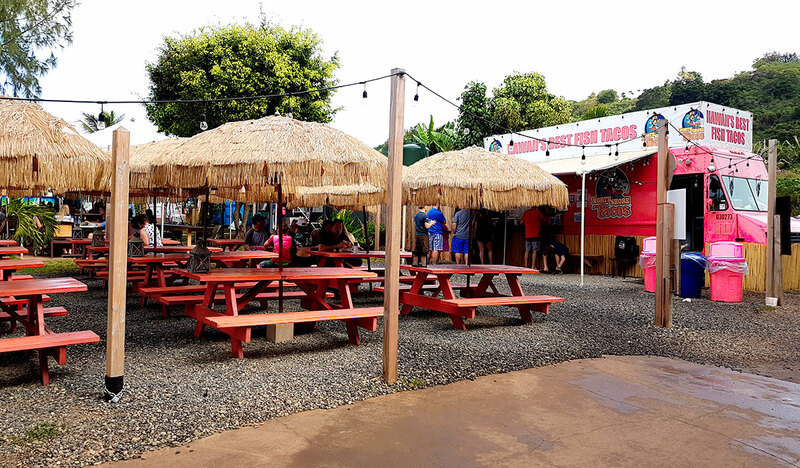 This collection of food trucks on the Pupukea’s North Shore forms an eclectic street-food city of tempting aromas and strung fairy lights just east of Waimea Bay. Each van offers cuisine from different global corners using local ingredients, fresh meat and seafood almost all for under $12. It’s some of the best-priced food on the North Shore and you will save big money eating here. Look out for Thai food, Pork Brisket, daily caught shrimp and Hawaiian dishes alongside western options. Matsumoto Shave Ice is a classic venue that has been serving up ice cones to the locals since the early 50s. 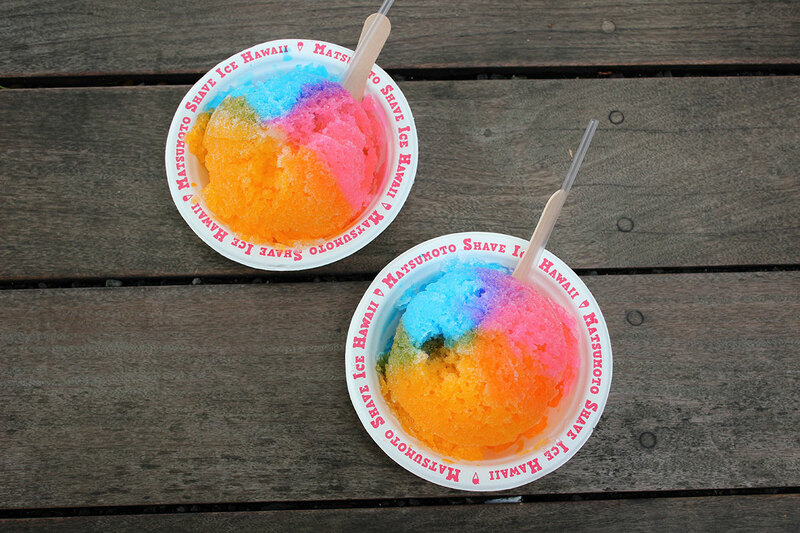 Born in Hawaii but of Japanese heritage, Mamoru Matsumoto returned to Oahu as a young man and established Matsumoto Shave Ice with his wife in 1951. The ice is finely shaved into a coarse sorbet, served in a bowl and is drizzled with homemade flavoured syrups with optional ice cream or condensed milk. The store remains a family owned and operated business that has grown into one of Haleiwa’s most popular shave ice venders. Relaxed, comfortable and spacious the Coffee Gallery is a valued stop-off and workspace on the edge of Haleiwa’s community market. 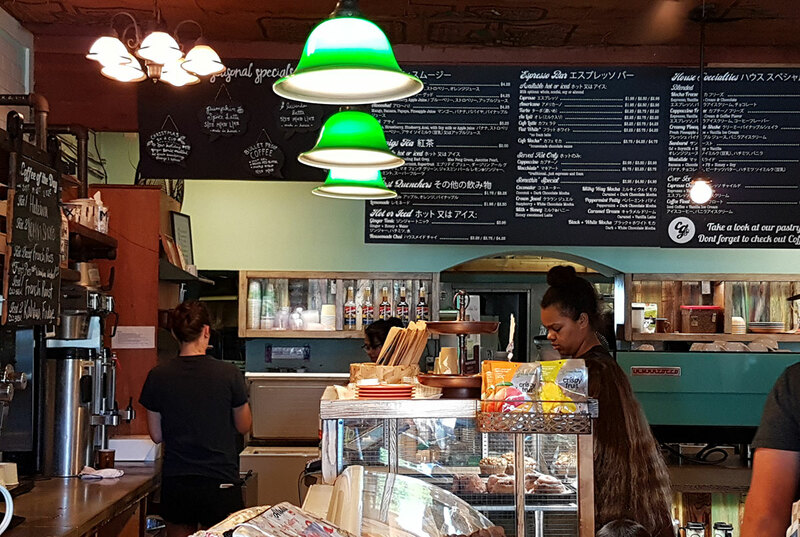 It’s the home of the Hawaiian Gourmet Coffee Roasters and Bakery, who produce their own artisan coffee, baked fresh daily pastries and a menu comprised of savouries and sweets of local tastes and ingredients. 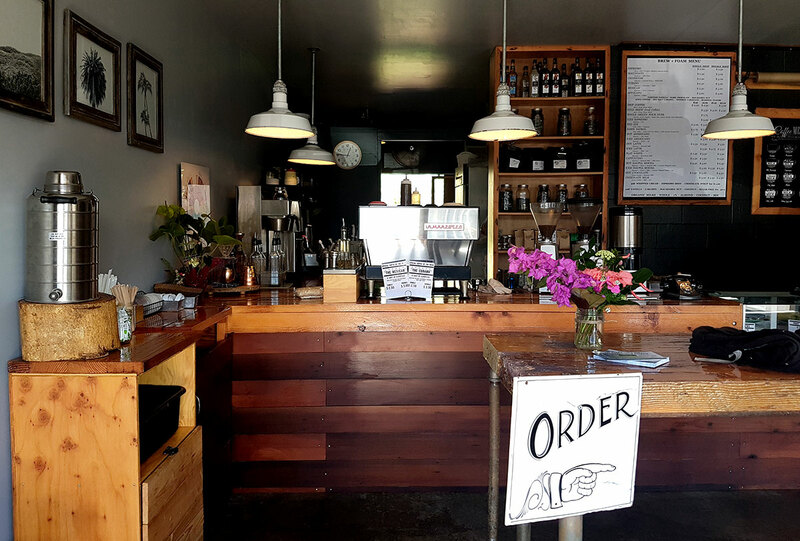 With white tiles and brass coffee roasters, the coffee house has a classic feel and a super friendly atmosphere. Look out for their seasonal specials.